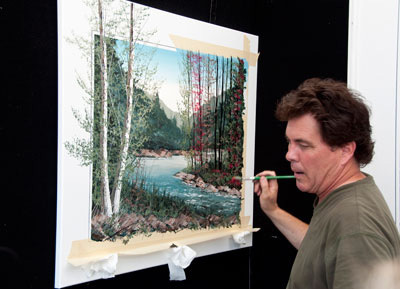 A native of Michigan, he received his formal training at the well-known Center for Creative Studies in Detroit. 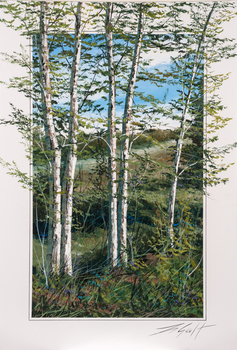 Master Artist LeGault has continued to develop his style and techniques for the past 38 years, supporting his family solely on showing and selling his works. 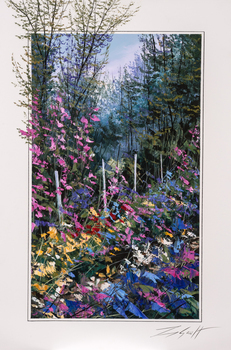 “Along The Fence” by Thomas LeGault is a riot of color and a deluge of beauty. 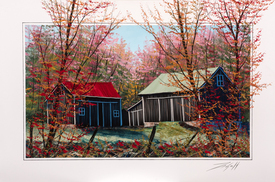 Thomas LeGault loves to paint golf courses and it shows. 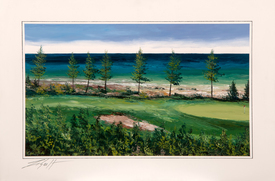 Here he captures the elegance and challenge of the ninth hole at the Bay Harbor Golf Club near Petoskey, Michigan. Who can resist wandering down this path? 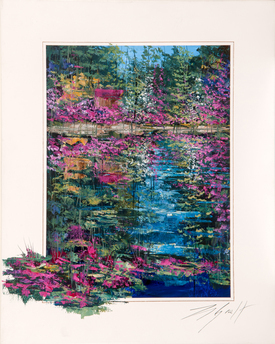 Thomas LeGault’s “Garden Reflections,” has blooms, blossoms and flowers. 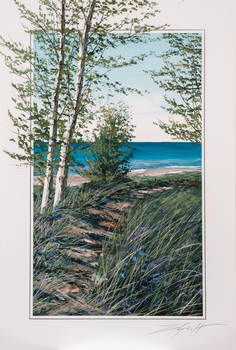 Why yes it is a Good Surf Day and this acrylic painting by Thomas LeGault will always put you right on Michigan’s beaches. 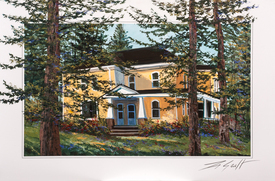 Who can look at this lovely painting of this majestic house and not imagine living in it. 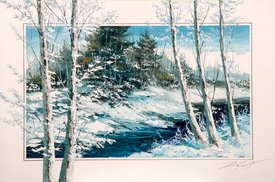 Winter looks glorious when Thomas LeGault captures its subtle, yet colorful, temperament. 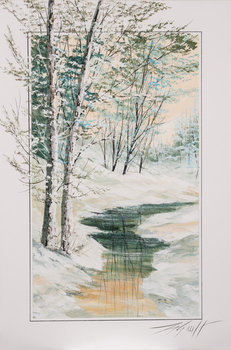 Soft Reflection by Thomas LeGault uses a minimum of colors to maximum effect. 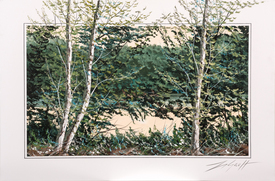 Stand of Birches by Thomas LeGault is an original acrylic painting. 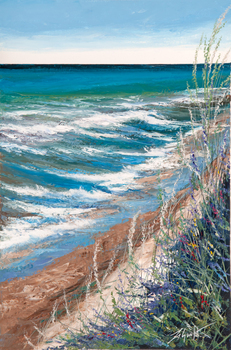 It is 24 inches wide by 36 inches high. 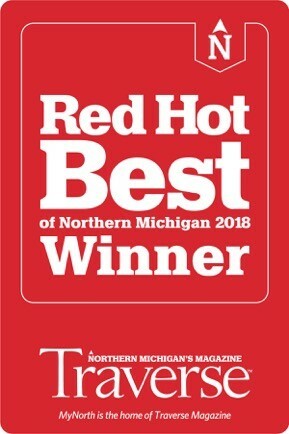 Summer Fun, indeed! 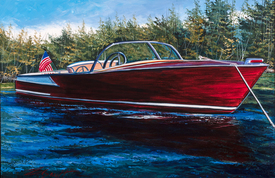 Thomas LeGault captures the majesty — and fun — of a classic wooden boat.